Find you heating and plumbing supplies here at great prices. Furnish your in style with our range of home furniture and accessories. With over 30 years of building experience we are sure to keep you warm with our knowlege of loft insulation. 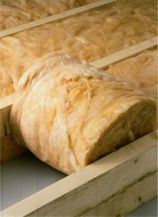 We have a wide range of insulation materials including Loft Insulation, Cavity Insualtion and Underfloor Heating. Heating Underfloor does away with the clutter and maintenance of wall-hung radiators. Thousands of homes throughout the UK have benefited from a more natural kind of warmth. With Underfloor Heating both comfort and economy are vastly improved for any room in the house. Underfloor heating can be fitted in virtually every home. Heating in the home is very important and very expensive so here is the installation guide to make sure you insulate your house properly.